With the advent of Internet TV and YouTube, the popularity of the traditional podcast is currently on the decline. Also, the huge fan following and dominance of iTunes and iPods has restricted the popular medium only to the classes. That said, it’s not as if podcasts are obscure; in fact, notable celebrities like Stephen Fry, Jeremy Clarkson, and Ricky Gervais have gained huge popularity through this then-evolving medium. Moreover, the vogue of this format was such that even the German Chancellor Angela Merkel once launched her own video podcasts. Even though, now, as the medium is losing the fame that it once enjoyed, it’s not completely outmoded. In fact, there are some highly popular shows like The Linux Action Show and Linux Outlaws that still enjoy a huge fan following. So, if you’re one of those people who’re still hooked on to the medium then here’s a list of the best podcast software/tools for Linux. 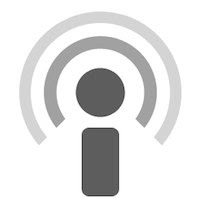 gPodder is a free and open-source podcast aggregator for Linux, Windows, and Mac OS X. It downloads and manages your audio and video content and also lets you listen to it directly without the need for any external application. gPodder supports RSS, Atom, YouTube, SoundCloud, Vimeo, and XSPF feeds. And don’t worry if you have nothing to listen to at the moment, the podcast directory feature lets you look for the best podcasts around without leaving the app. Furthermore, if you use gPodder on multiple devices you can easily sync between them using the gpodder.net service. Miro is a FOSS video player that also acts as a full-fledged podcast manager. With a sleek, easy-to-use interface, Miro scans and plays songs/videos from your music library, converts and syncs files with Android and Kindle Fire, and yeah, lets you find, browse, and manage podcasts. Not only can you listen to/watch your favorite shows, you can also convert them to your favorite formats and transfer them to your mobile device. Amarok is perhaps the best media player available on the Linux platform. Equipped with a feature-laden podcast manager, the KDE-based player lets you discover, manage and play shows without the need for any other player. Banshee is currently the default music player in Ubuntu, and it too, like the aforementioned Amarok, comes with some solid podcast management and playback features. The open-source application connects with the popular Miro Guide to give you a great selection of all the latest audio and video shows. You can either stream them directly or download them to your computer. Furthermore, as Banshee supports a lot of phones, you can later transfer those files to your mobile device. Rhythmbox is the soon-to-be default player in Ubuntu. Like Banshee and other mature music players, Rhythmbox too has a well-designed podcast manager that lets you stream and download the latest content without any hassles. So, in short, don’t expect anything fancy with this application; however if you’re a fan of everything Bash, then this is the perfect app for you. BashPodder is a command-line utility that lets you download and aggregate your favorite podcasts, across all platforms. The app is quite mature and stable despite having just a few lines of code. To install, all you need to have is a Bash shell and some time to get used to the program. Once you’re set up, you can start subscribing to, and downloading your favorite podcasts right away. Though not an application for the faint-hearted, BashPodder still is one of the best CLI-based podcast aggregators around. I was looking for a command line podcast software and found out that the gpodder comes with a very powerful command line interface: gpo . Give it a try. I use it on my server with cron to catch my podcasts and it automatically syncs with all my devices using dropbox.